Newton is a city with a unique identity with a presence of historically significant buildings while at the same time having the contemporary effects of being in close proximity to Boston. Newton is also unique because it is comprised of thirteen different villages. These include Auburndale, Chestnut Hill, and Newton Centre. This differentiation allows for local advertisements in each of the villages specific to target audiences. The roads connecting these villages also portray an effective advertising opportunity with billboards along these major roads. 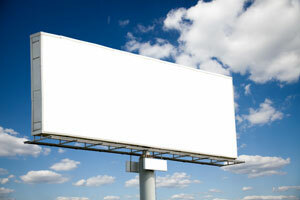 Billboards and other out-of-home advertising on The Massachusetts Turnpike (Interstate 90), and Interstate 95 could result in high traffic exposure and a potential to grow your business.